So, posting will be slow as I make my way down to San Diego for this year’s Comic-Con, which starts Wednesday night. 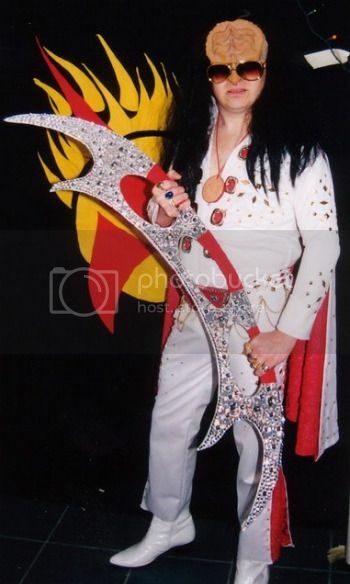 Via Look at This Frakking Geekster, who finally knows what happens when you cross a Bat’leth and a Bejeweler. That guy is awesome! I’ve seen him at MarsCon and Convergence in Minnesota. Very fun costume. That’s great. I look forward to living vicariously through you this week, as I won’t be going to Comic-Con this year. Have fun!